I have found that boundaries are one of the most challenging things to maintain in relationships. We are not taught them, and they are often seen as cold, unkind, or distant. I love this talk because it highlights the real benefits of boundaries and how they can improve both your own life, but also your relationships. Boundaries in work, relationships, and with ourselves are crucial and I think Sarri GilmanSarri GilmanSarri Gilman does a great job explaining that. How do you practice good boundaries? Where do you find boundaries the most challenging? 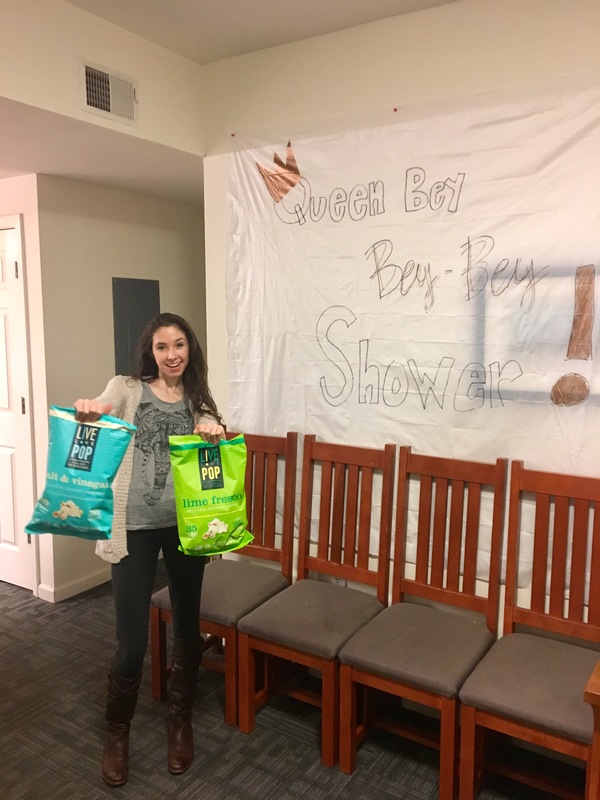 As a senior in college, I am facing some major life choices as I decide where to go and what to do next. I struggle with change, and making this decision has been a great challenge for me. As such, I have been reaching out to numerous friends, mentors, and professors to gain their insight and advice. While advice can only get you so far, I have found that many lessons and ideas have helped me reach my own conclusions in a more confident way. There was one conversation that was particularly striking; I met with one of my favorite professors (and mentors) on campus and we discussed his experiences, my options, and his philosophy on living. He is a deep believer in finding a career that combines work and play. While I agree, it is difficult to use that belief as guidance as you embark on a first career choice–a time when there are innumerable paths and options. Using this theory, I decided on the next step in my life. 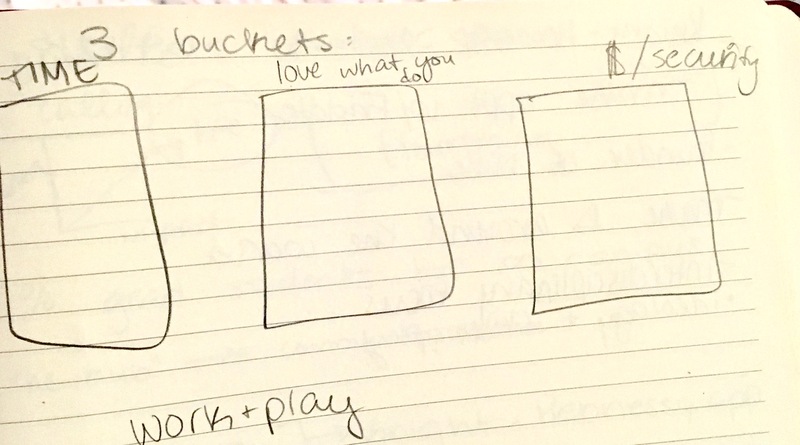 I made a difficult choice…but I know I will be filling the buckets of time and loving what I am doing. It might not be secure, which scares me, but I am beyond excited. I am so grateful for guidance from such wonderful people and can’t wait to start my life in the grown-up world! How do you make big decisions? Do you have trusted mentors to turn to? I am a huge fan of AJ Jacobs–he has written a ton of fascinating, hilarious books. This Ted Talk does a great job of summing up lessons he learned through living the “healthiest” life possible. This is a perfect testament to the danger in taking something to an extreme. His descriptions of endless sunscreen application truly encapsulate the issues that come with following instructions for ideal health. In a health-obsessed world, his experience really adds a nice contrast and adds support to the value of living a balanced life. What do you think about AJ’s experience with healthy living? Do you think balance is harder than extremes? 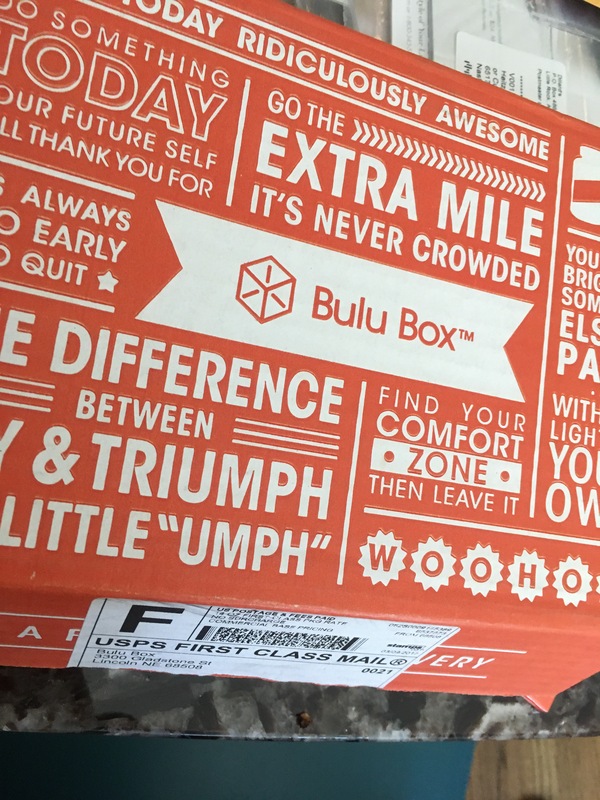 When I got the chance to try out a month long subscription to bulu box, I was thrilled! I used to get the box years ago, but let it lapse. I completely forgot how much fun it is to get a box of surprise goodies every month! 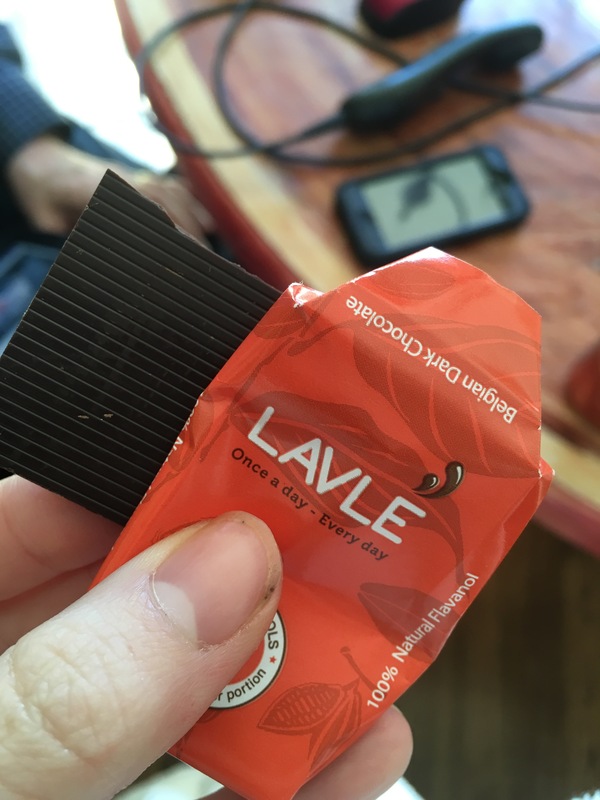 When I saw that the box included a daily dark chocolate supplement, I was sold! Of course I had to share this with my dad, and he gave the mini bars two thumbs up! 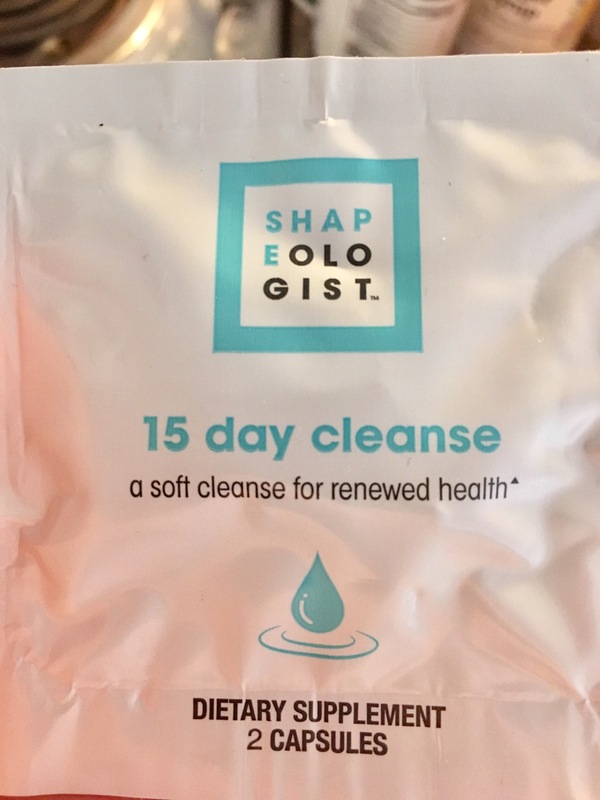 I wasn’t a huge fan of the cleanse product, but it’s still fun to try a new brand! I’ve heard good things about Shapeologist. 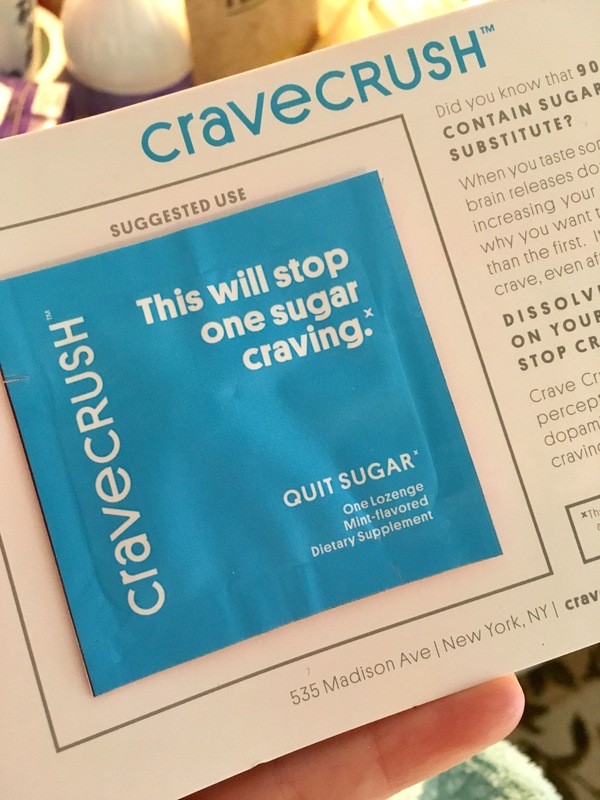 I cannot wait to try Crave Crush! 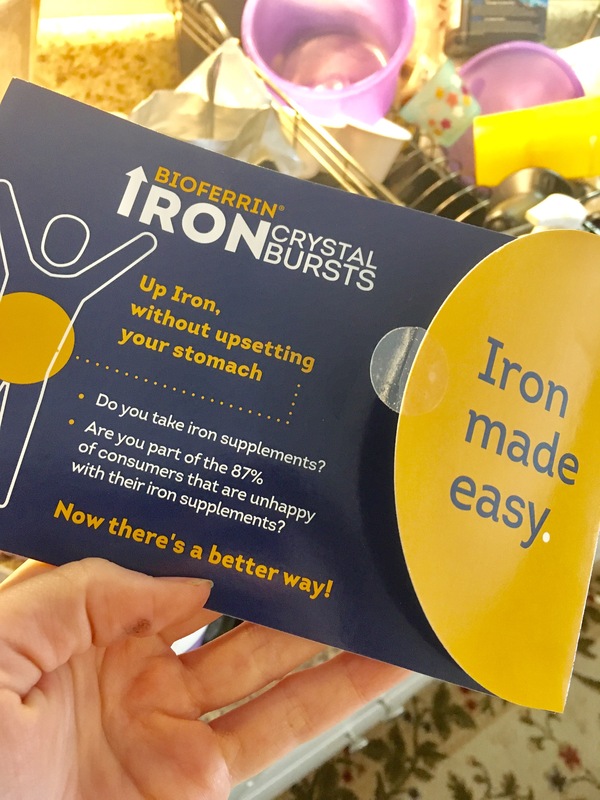 This product sounds kind of like a mint when you are just feeling peckish, but not really hungry. 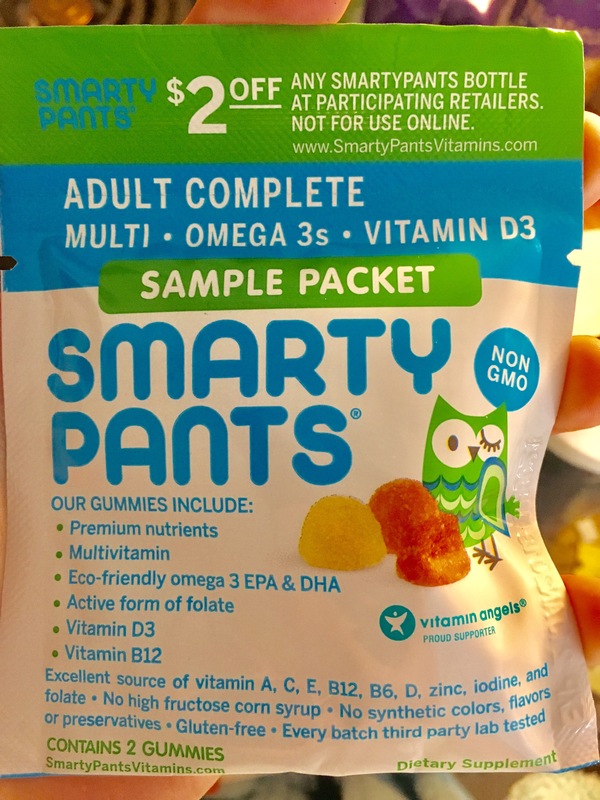 I have the tendency to mindlessly snack so much before dinner that I’m not even hungry when the meal is ready–this could be a helpful solution! 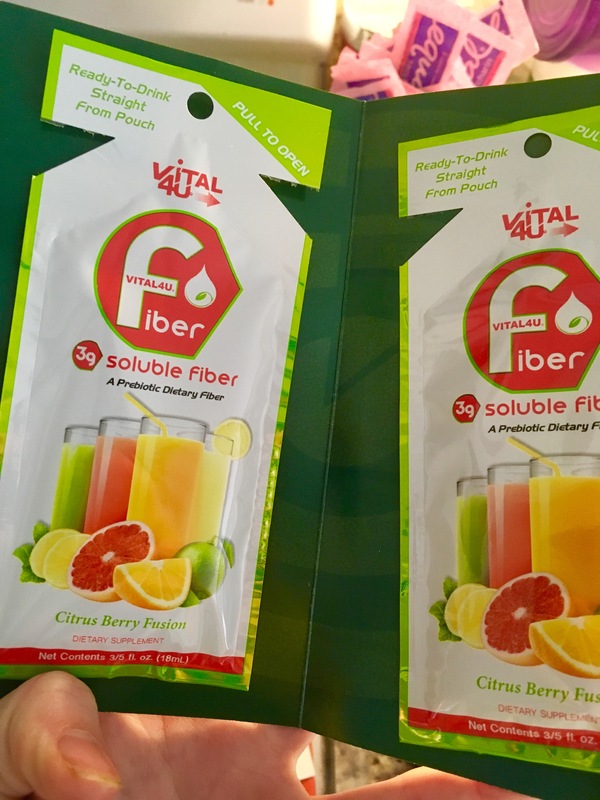 I have seen tons of other fiber supplements, but I’ve never seen a liquid quite like this. I can’t wait to see how it tastes; I’ll be sure to keep you posted. I always make sure to have these mixes on hand! 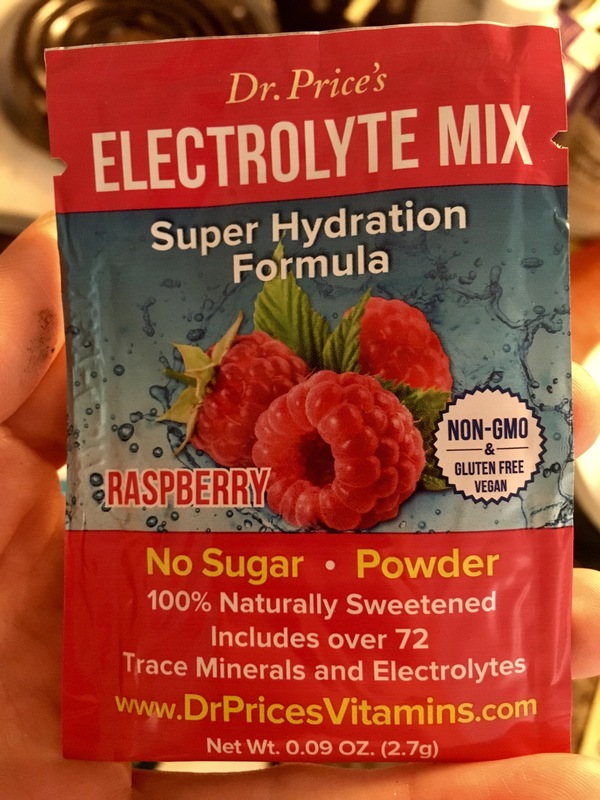 A perfect solution to help with leg cramps–I notice I get them when I’m not getting enough electrolytes. I love that it’s naturally sweetened to boot! 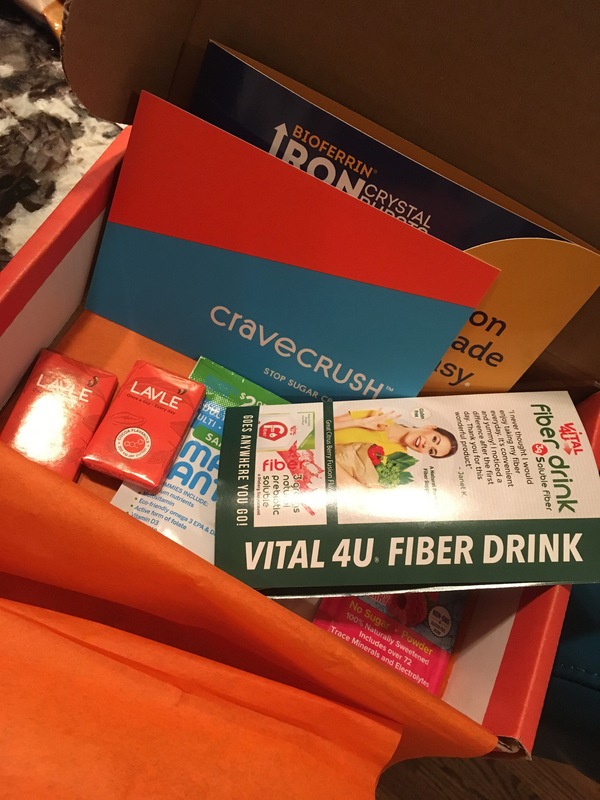 Have you ever tried a subscription box? Which product sounds the best to you? I have been so lucky to TA for an amazing class focused on the intersection of rhetoric and neuroscience. During the class, we have discussed the five pillars of rhetoric: Invention, Arrangement, Style, Memory, and Delivery. I knew very little about rhetoric coming into the course, but I have loved learning about it and the endless connections it has with neuroscience and the human condition. In a recent class focused on memory, we focused on the method of loci or “memory palaces,” which is an ancient technique of memorization. It is an amazing tool for memorizing just about anything–from a speech to content for a test. Watch the Ted Talk by Joshua Foer to learn more! Do you struggle with memorization? Had you heard of memory palaces before this video? I used to always be the party host in high school, but after coming to college I let go of that role. I loved it, but I can’t say it was always easy. The host has to plan, coordinate, invite, which is all fun, but also comes with a lot of responsibility! If you forget someone, you hurt their feelings. If you forget chips, the guac gets lonely. If you’ve ever hosted, I’m sure you understand! I’m a host of imperfection, and you see past all that (Beyoncé, 2006). 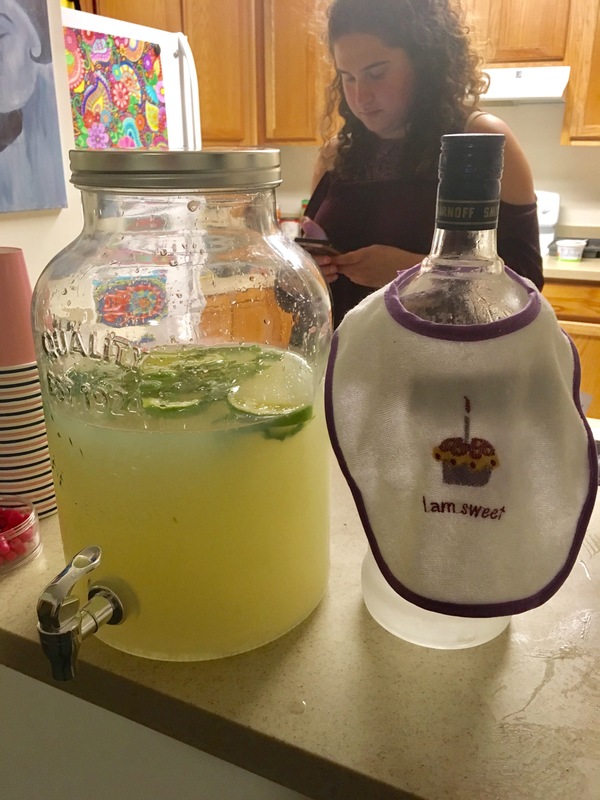 Now this imperfection bothers me less so when one of my good friends at college and I came up with a brilliant party idea, I knew it was time to bring back my host identity. 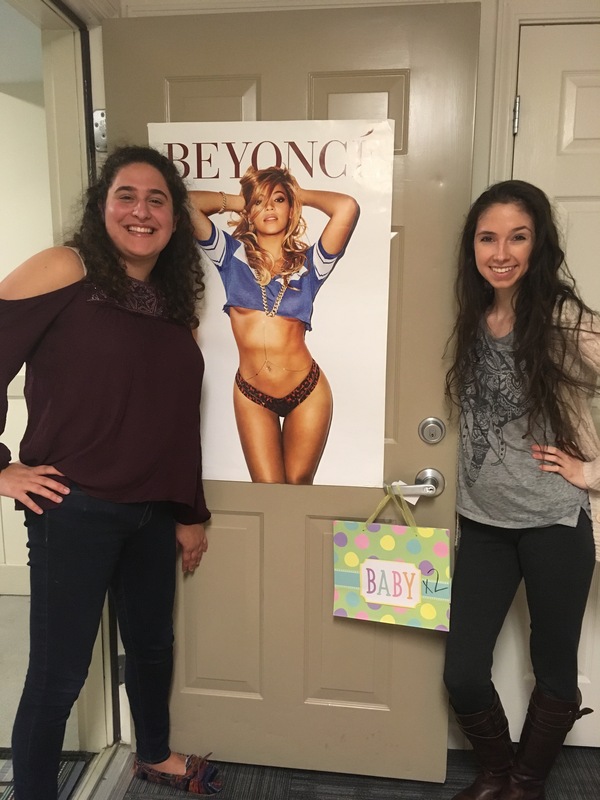 And the planning for a baby shower for Beyoncé’s newly announced pregnancy began. We made sure to plan a few things ahead of time, but a lot of it was kept very low key. We divided the tasks and she generously offered her apartment for the venue. It could not have been easier or more fun! I love sharing my love of Live Love Pop–thank you! Are you always the host? What’s your favorite party theme? I am a firm believer in the power of self-belief, but I think it is often brushed aside as hokey. It is not simply a ploy used by motivational speakers, but it is something that truly matters. How we perceive ourself and our abilities has an impact on who we are and how we perform across numerous areas of life. Think about the concept of growth-mindset vs. fixed mindset discussed in The Power of Believing You Can Improve. It is the same idea, but more specific to learning. I really enjoyed this talk from Layne Beachley; she is so personable and expresses herself so clearly. I hope you like it! When do you most doubt yourself? I doubt myself in performance-based tasks, like presentations or interviews….but I am working to change that! I remember meeting this woman and being immediately engulfed by her warmth. She has dedicated her life to working with young children being raised by their grandparents, specifically through early childhood educational in-home interventions through a non-profit; while early education is critical, she also realized that many students were not able to cover the costs of college, even if the only cost was $300 to purchase textbooks. As a result, she also founded a scholarship for local high school students who had been raised by grandparents. Beyond the scholarship money itself, she also explained that a scholarship means someone is rooting for you—supporting you. Her passion for her work was so obvious. She coordinated special events for families and stayed late not because she necessarily had to, but because she wanted to. I remember one event when she had to leave to go practice for an upcoming fashion show raising money for charity. While she was certainly busy, she wholeheartedly loved what she did–from the fashion show to the extra programming. Whenever I see someone like this, I wonder how they do it. After becoming Facebook friends with her, I noticed how many friends she had and the obvious love she shared with her husband. She is the type of human being who challenges me to follow what gives me that spark. This woman, as the title suggests, is a burst of light. While I don’t know if our paths will cross again in the future, meeting with her even just briefly for one summer will remain with me and serve as a beautiful example of a life being lived truly well. Have you had similar experiences? Do you think about people like this often? 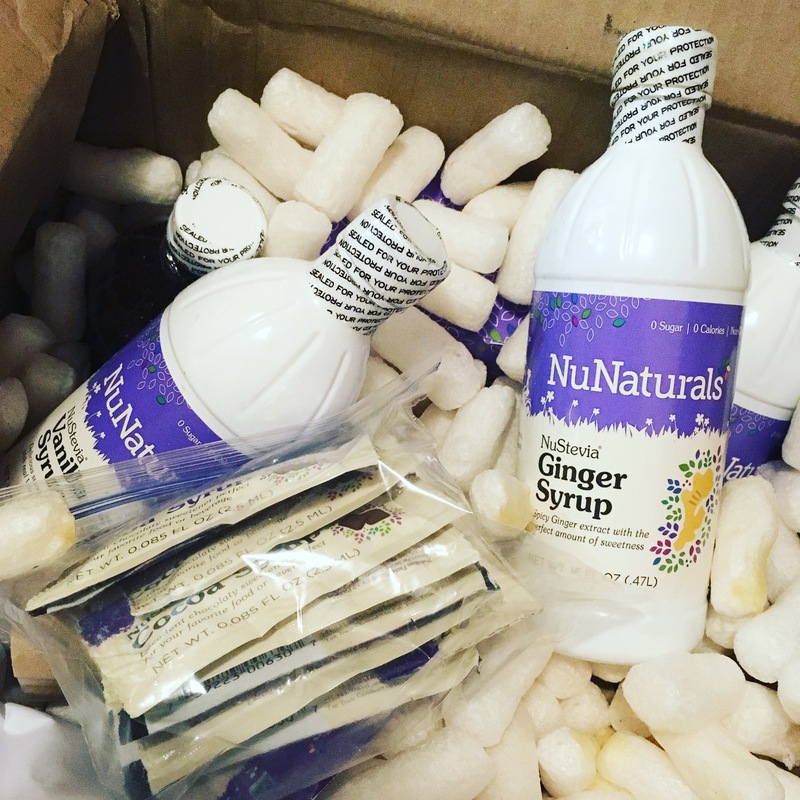 They just sent me some of their new products to try and I was blown away…their new ginger syrups are the perfect combination of spicy and sweet. I poured the ginger vanilla syrup on a Western Bagel and it became a gingerbread bagel…aka HEAVEN! You’ve got to try it. Delicious products AND an eco-friendly company? This is a major win-win. I am obsessed with their stevia, cocoa powder, and oat fiber. I just posted a recipe using the cocoa powder–it makes a super rich, decadent chocolate protein shake. If you don’t win the giveaway, don’t fret! Use discount code of “BLG0616” and you will receive a 15% DISCOUNT on your entire order. This discount remains effective until June 30, 2016. Online ordering customers will also receive FREE shipping to the continental U.S. on all orders exceeding $35.00 after discounts. OR (even better) during the month of April if you order from the NuNaturals website and enter the special earth day discount “EARTH20” you can receive a 20% discount on your orders. Enter the code at the checkout page! GOOD LUCK!